Scrapple. I doubt there is a more polarizing food in the world. People either love it or detest it. I think some may even fear it just a bit. For those not familiar with this Mid-Atlantic “delicacy,” scrapple is a breakfast meat that has often been described as consisting of everything leftover from a butchered pig except the oink. In reality, it is a mash of pork trimmings, cornmeal and spices that has been formed into sliceable blocks. So easy to prepare, just slice and pan fry until the outside is nice and crispy and the inside warm and creamy. In my opinion, it’s the best breakfast food there is. So imagine my delight when my favorite craft brewer, Sam Calagione, founder of Dogfish Head Brewery, announced a few years ago, that he was going to brew a specialty ale using scrapple. Brilliant! I was so looking forward to trying his Beer for Breakfast, a lovely stout that boasted classic breakfast ingredients such as coffee, maple syrup, and of course, scrapple. But alas, it was not to be. Those first couple of years, the brew was launched as a limited edition draft available only at the Dogfish Head brewery and pub. On weekdays. Devastated, this 9 to 5-er prayed to the beer gods that someday she’d get to sample Beer for Breakfast. This year, my prayers were answered. Sam, in his ultimate wisdom, decided to bottle and distribute Beer for Breakfast. I was in seventh heaven! I immediately ran out and picked up a six-pack before they were gone. So worth the wait, it was everything I hoped it would be, and then some. And although this breakfast inspired stout was amazingly delicious to drink on its own, I couldn’t wait to try it in a recipe. And it just so happened I had the perfect recipe I’d been holding on to for just such a beverage. A came across this recipe for Spicy Bacon and Brew Muffins in Cooking Light several years ago and I knew immediately it was one I’d have to try. A moist breakfast muffin, not too sweet, with the flavors of stout and bacon subtly shining through, topped with a maple bacon-studded streusel. These muffins are perfect just out of the oven on a slow Sunday morning. I altered the original recipe very slightly by using maple bacon, instead of applewood smoked bacon, and of course, Beer for Breakfast Stout instead of Guinness. Ingenious improvements on both counts, if you ask me. Now you can have your Beer for Breakfast and eat it too! Have all ingredients at room temperature before starting. These muffins freeze really well and thaw quickly in the microwave for 35-45 seconds. Makes 1 dozen muffins. Preheat oven to 400 degrees. Line a baking sheet with foil and place a wire rack on the baking sheet. Combine 3 tablespoons brown sugar, 2 teaspoons water and red pepper in a small bowl. Spread mixture over both sides of the bacon. Place back on the rack and bake at 400 degrees for 18 minutes. Cool; finely chop and set aside. Reduce oven temperature to 350 degrees. Combine the oats and 1 tablespoon of flour in a small bowl. Stir in melted butter. Stir in 2 tablespoons chopped bacon. Set aside. Combine flour, remaining bacon, 1/2 cup brown sugar, baking powder, salt and baking soda in a large bowl. Stir well. In a separate bowl, combine beer, oil, vanilla, and egg, stirring gently with a whisk. Add beer mixture to the flour mixture, stirring until just combined. Batter will be thick. Evenly divide the batter amount the muffin cups. Sprinkle streusel evenly over the batter. Bake at 350 degrees for 18 minutes or until a wooden pick comes out clean.Cool in pan for 5 minutes; serve warm, or cool completely on wire rack. As anyone who follows this blog knows, being on the cutting edge of whatever’s hot and trendy in the liquor cabinet is not my strong point. But this past summer I was actually able to ride the popularity wave of the hottest potent potable coming out your liquor store’s refrigerated case. 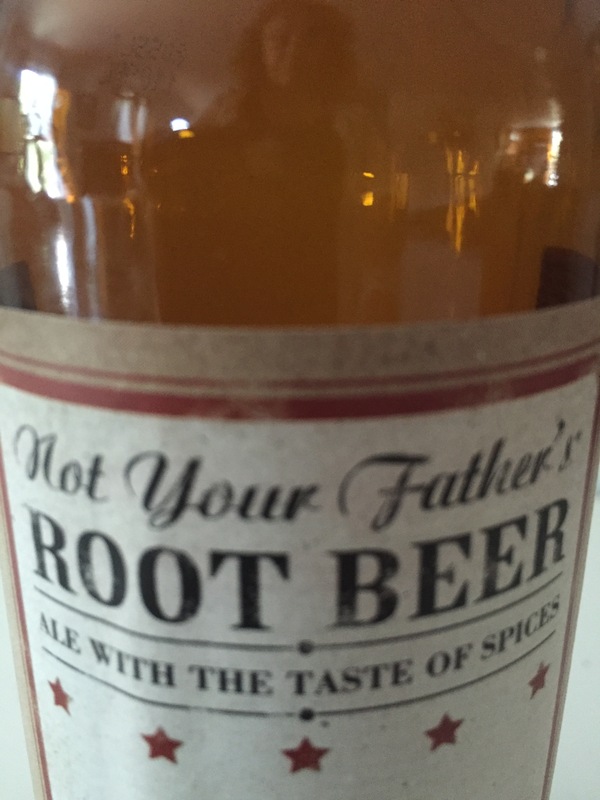 I’m talking about Not Your Father’s Root Beer. 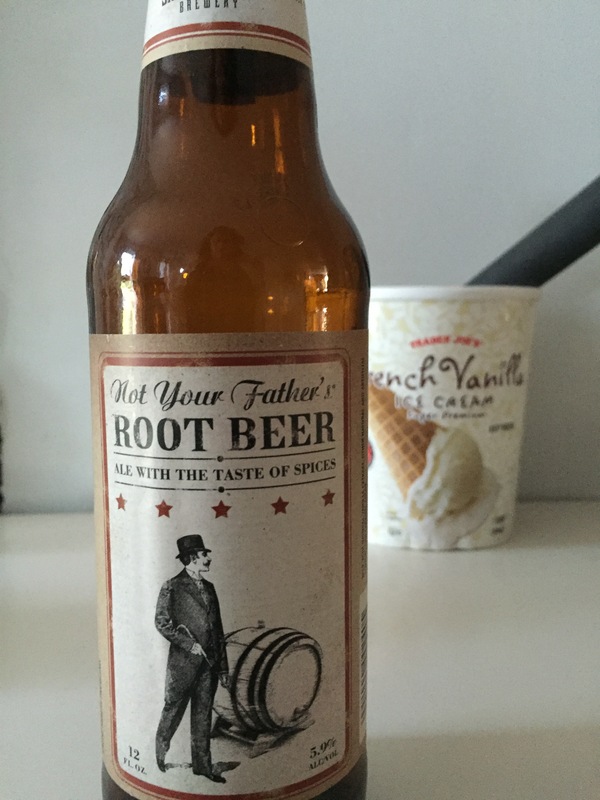 For anyone not familiar, Not Your Father’s Root Beer is an ale brewed by Small Town Brewery that tastes exactly like root beer! Not a regular beer with a hint of root beer flavor, this ale (that boasts a 5.9% ABV) tastes exactly like a root beer soda. Goes down like one too. Which can be both a good thing and a bad thing. NYFRB was so popular, the brewery was unable to keep up with demand, and it soon became a prized commodity. I won’t even tell you how much I was gouged for when I finally found someone who had a stash. Such a craze, it was like Beany Babies all over again. Baking in the summer is virtually unheard of in my house. I can’t stand the idea of turning on the oven, heating up the kitchen, while my AC struggles to cool it all down. And the life span of a frosted cupcake in 90 degree heat is not good, not good at all. But that doesn’t mean I don’t enjoy concocting sweet treats – I just try to find something that doesn’t have to be baked. 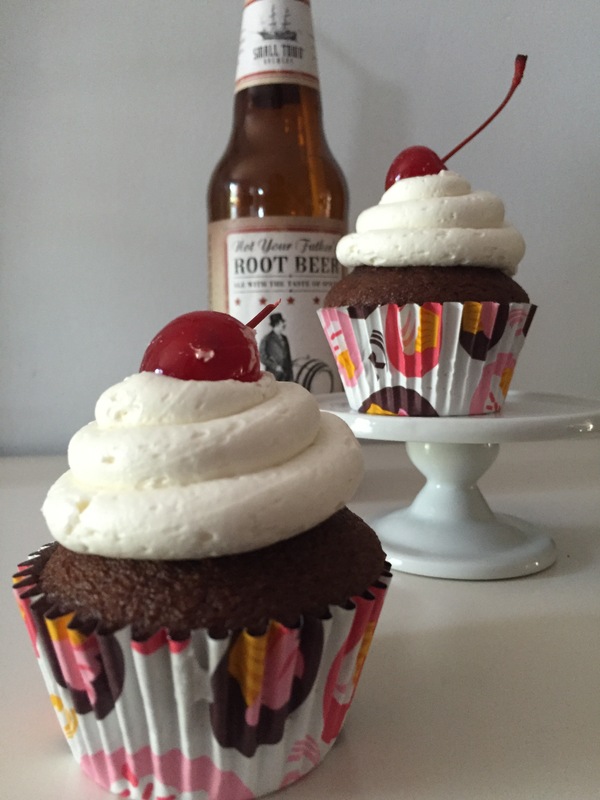 This summer, NYFRB came to the rescue, in the form of Not Your Father’s Root Beer Floats. The ultimate summertime treat, you want to make sure the kiddies are in bed before you mix up one or two of these ice cream delights. Just pour NYFRB in a tall glass, drop in a scoop of vanilla ice cream, and let the party begin! They go down so easy, maybe a little too easy….delicious! But finally, baking weather arrived and I immediately knew what my first batch of baking was going to be: NYFRB Float Cupcakes. 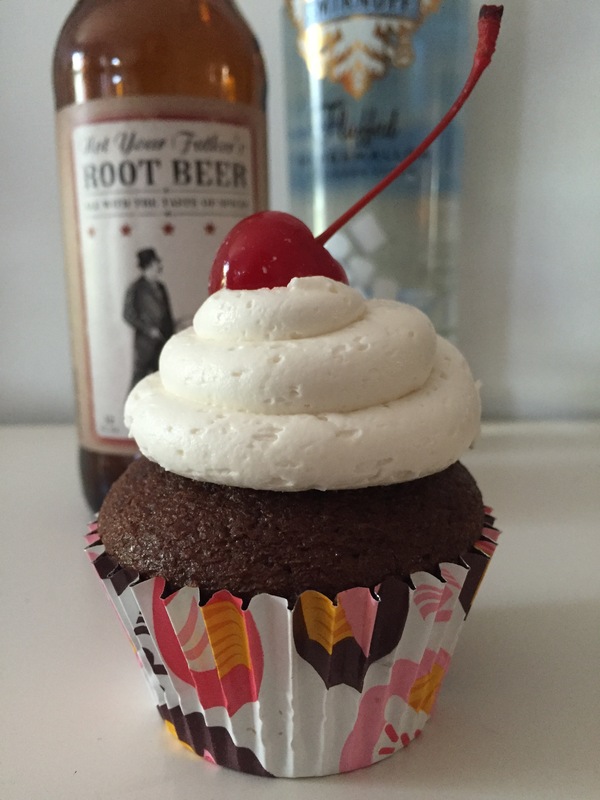 So easy to make, even easier to wolf down, these root beer chocolate cupcakes, topped with a marshmallow vodka frosting that tastes a little like whipped ice cream, won’t hang around long. Why not whip up a batch this afternoon? I used Betty Crocker for this recipe, so I am providing those directions here. If you use a different brand, follow the directions on the box, but substitute Not Your Father’s Root Beer for the amount of water called for in the directions. Preheat oven to 350 degrees. Line cupcake tins with paper liners. Set aside. In large bowl of stand mixer, combine cake mix, eggs, vegetable oil and NYFRB, mixing on low speed for 30 seconds, then at medium speed for 2 minutes, scraping the bowl occasionally. Fill cupcake tins about 2/3 full. Bake at 350 degrees for about 15 minutes or until toothpick comes out clean. Cool in pans on wire rack for 5 minutes, then remove from pans and cool completely. This frosting was the perfect topping for these cupcakes, reminiscent of both vanilla ice cream and whipped cream. In large bowl of stand mixer, cream together butter and marshmallow Fluff until well combined and fluffy. Add confectioner’s sugar, salt and marshmallow vodka, mixing on low speed until combined, and then on highest speed until light and fluffy, approx. 5 minutes. 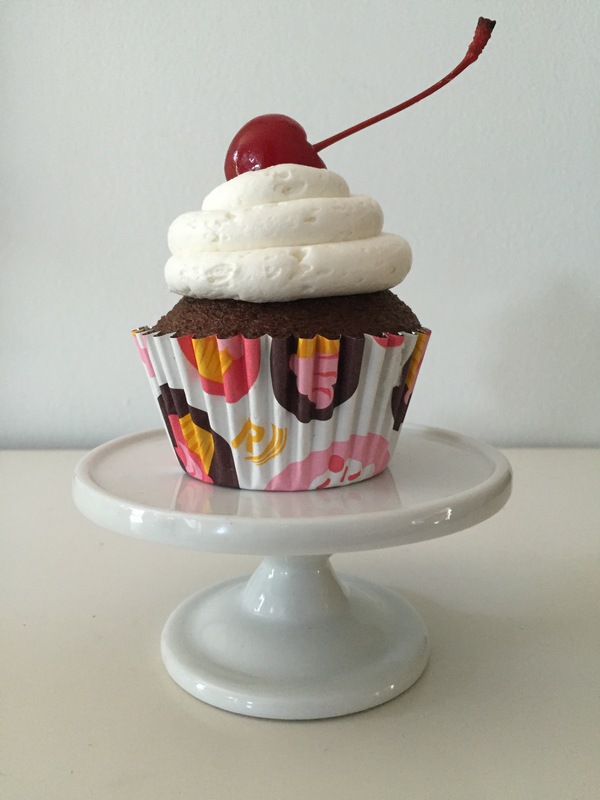 Frost cupcakes as desired and top with a maraschino cherry.